Pacific Gas & Electric will be working on upgrading natural gas lines along St Mary's Road this summer. The planned work, scheduled for June 7 to August 21, will result in an extensive road closure and will impact traffic and commuting times to the College. Saint Mary's community members are advised to plan for delays and heavy traffic. Students, faculty and staff who commute along St. Mary's Road from Lafayette, may have already noticed the digital signage announcing the closure. The road will be closed between S. Lucille (just past the Community Center) and Bollinger Canyon Road, Monday-Saturday, 7am-7pm. Suggested alternate motor vehicle routes from Lafayette include taking the Central Lafayette/Oak Hill exit and use Moraga Road past the St. Mary's turn, through Moraga to Rheem Blvd. Another option is to use Hwy 24 to the Orinda Exit and approach the College on Moraga Way. Cyclists should note that the bike path paralleling St. Mary's Road will be accessible, so that is an option as well. Questions about the closure can also be addressed to PG&E represenative Julian Lacson, via email at J5LR@pge.com or by phone at 925-348-3532 (cell) 925-459-8097 (office). To help minimize congestion during the upgrades, SMC has entered into an agreement with PG&E to allow parking for its vehicles on campus at the Filippi Extension Lot and for the staging of materials and equipment on SMC property just north of the Garaventa Soccer Field, adjacent to St. Mary's Road. 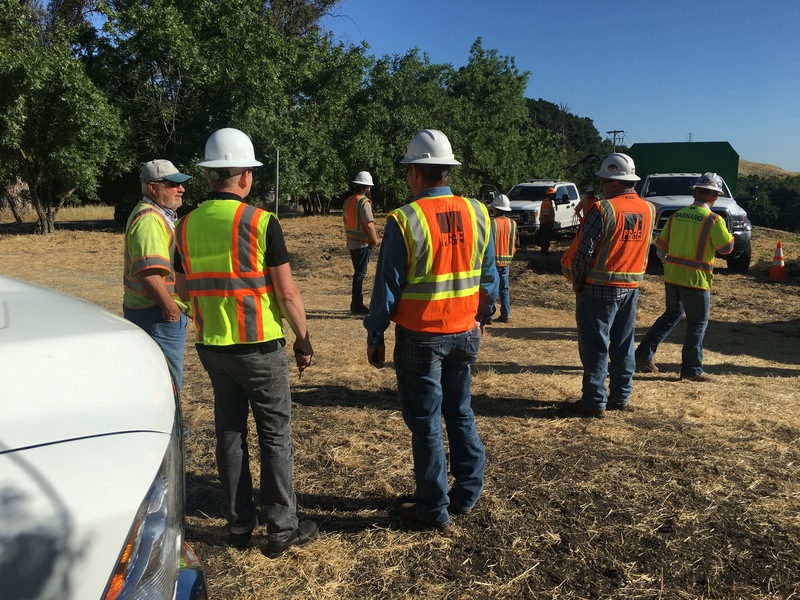 For more details on the PG&E upgrades, community members are encouraged to contact the office of Saint Mary's Public Safety Chief and Director Adan Tejada at (925) 631-4052 or adan.tejada@stmarys-ca.edu.